Deleting a task from your task list is a mere click away—just look for the trash can icon! 3. Locate the task you'd like to delete—remember, you can sort or filter the task list to help you find things! 4. Hover over the task, and click the trash can icon. 1. From your HoneyBook home page, navigate to the Project from which you'll be deleting a task. 2. 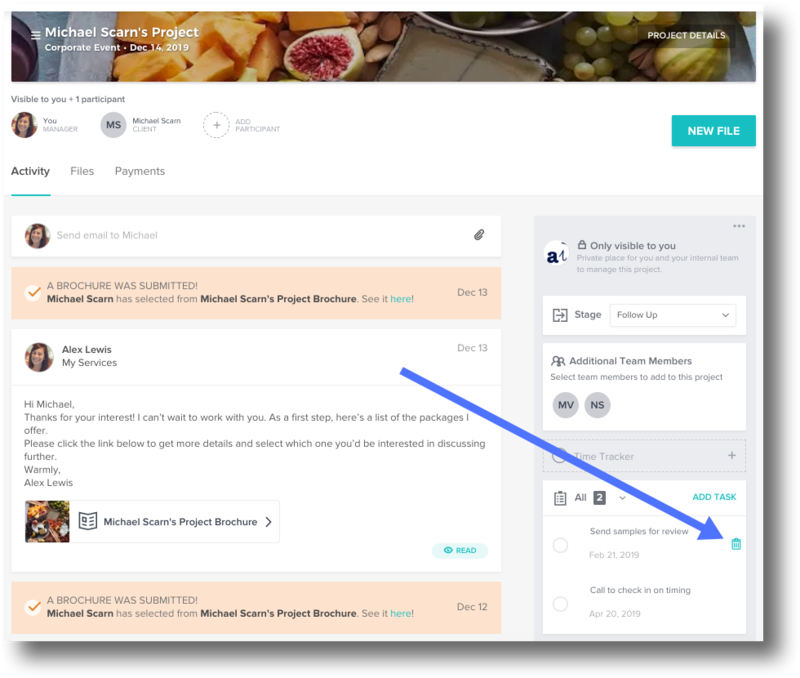 Find the Tasks section In the Project Options tool bar. 3. Hover over the task you'll be deleting and click the trash can icon.